Pink Ration Cards- These Ration Cards are mainly allotted to those families who are above the Poverty Line (APL). In this site, the individual can access many applications such as (Andhra Pradesh) AP EPDS Ration Card Application Status, Food Security Card Application Research and so on. The Andhra Pradesh Government has started issuing the Andra Pradesh EPDS Ration Card with the expectation to provide sustenance security to the people residing in the Andhra Pradesh. These Ration Cards acts as a proof of identification as you will get the subsidy in the grains, sugar, rice and other daily used products. This is an essential proof of address which can be used and accepted in various platforms such as- Passport, RTO, joining school and colleges etc. The Department of the Consumer Affairs, Food and Civil Supplies, Andhra Pradesh is introducing a real-time Status Check, Apply Online and Public Report to the People. As per the official website of (Andhra Pradesh) AP EPDS, there are a total of 29,980 Shops in various places in Andhra Pradesh. The total number of Ration Card Holders as on August 2017 is 14209657. Earlier applicants were required just to fill up an application form and you will get a ration card. This simple and easy procedure to acquire a EPDS AP (Andhra Pradesh) Ration Card resulted in multiple duplicate ration cards. Hence to deal with this situation and to weed out duplicate cards, Government came up with a more secured application format, they introduced two methods of application; Online and Offline. The Government of Andhra Pradesh (AP) have introduced the online method for the people who have access to the internet. The Government has initiated ‘MeeSeva’ which means ‘At your Service’ for the convenience of people. Under the MeeSeva civil supplies department, citizens are provided the option to get a new ration card, addition or deletion of a member in the ration card and other such updates, transfer of ration cards, etc. Once you have successfully created your account, use your credentials to log in. Attach the required documents and submit the form. After the submission, the site will provide you with a transaction number. You can keep the number which you may need later in future. The Government of AP provides offline methods for the people those who are not well versed with the internet. Now get a receipt of the form from the rationing office to complete the process. Now scroll down, you will see four options available- Print Ration Card, Search Ration Card, Transaction History, and Application Search. Then click on the Print Ration Card based on the Old RCNO or the Application Number. You will get the Print Ration Card Number. Now enter a name of any person of the concerned family member and click on submit. After the submission, a unique number is displayed. Select the number and paste it in the “Click here to search your Application Number” and submit. You will get all the details regarding your AP EPDS Ration Card. You can perform not only the Status Check but can also check the Transaction Details and Download a Duplicate Ration Card. All the task is performed on the official website of the AP EPDS all you have to do is just fill in the form with your Ration Card Number and Click on Search. Make sure that you enter all your details correctly. 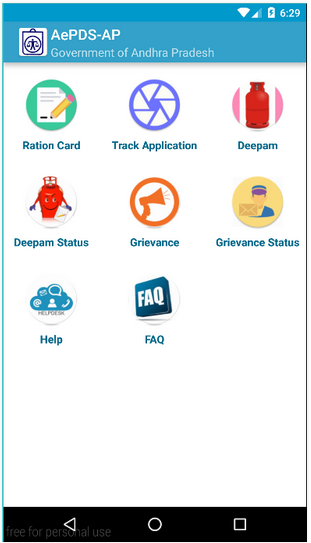 Ration Card Applicant can also check their Ration Card Status using the AP EPDS Official Android App. After installing Open the Application, Various features of the App will be displayed. Click on “Track Application” option available in the App. On clicking a new screen will open asking for the “Ration Card Number“, enter the details and Submit. If the Ration Card Number Entered is correct your Ration Card Status will be displayed on the Screen. Go to the official website of AP EPDS or epdsap.ap.gov.in . Enter your application number or the old ration card number. 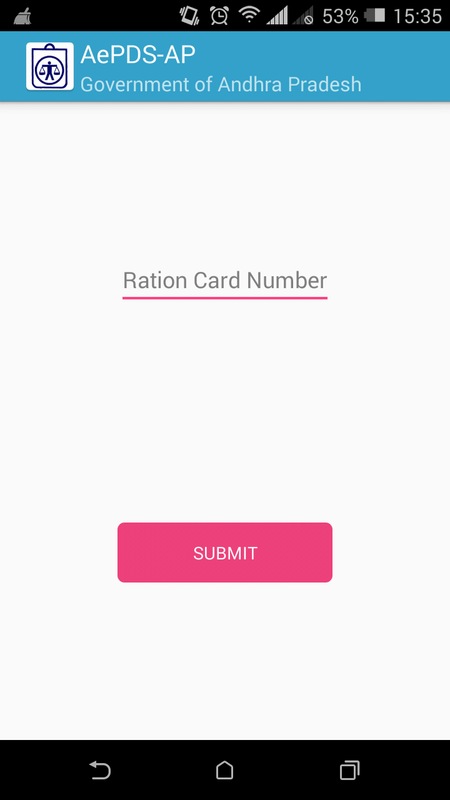 Select the option “Print ration card” and then enter your old ration card number. Now, click on the “print option”. After this, the screen will display the ration card and its information like family members details, district, village. You have two options, you can either take the print out and go to the MRO office and then apply for an original ration card or you can ask your nearest ration shopkeeper to provide you the original card. Now download the Andhra Pradesh Ration Card Application Form. Now fill in the required data and information of the applicant. Mention the correction data that is required to be changed in the Ration Card. This can be (Head of the Household Name, Date of Birth, House/Door Number, Colony name, Husband/Wife name, Occupation, Village/Ward, and District/Mandal etc. Finally, click on submit option after you have done with the form filling. If your ration card has an error or you want to update some information in the AP EPDS Ration Card, then please read this article detailing How to Update or Correct your Andhra Pradesh Ration Card. EPDS Telangana Ration Card is known as the key card for all the citizens of India. The Government of India has made it available by the state. After the separation of Telangana and the Andhra Pradesh State, the Telangana Government introduced the EPDS Telangana Ration Card or Ahara Bhadratha output cards. The Ration Cards helps us to get the food grains and other products like rice, cereal, kerosene, sugar etc. at a reasonable value. This card is not only used for purchasing the groceries at low rates but it also serves as an identity proof or address proof. The Ration cards are classified on the basis of the yearly income. The Ration Cards categorized into 3 types and have a distinctive color. Above Poverty Line Ration (APL) Cards: These ration Cards are given to those whose salary is more than Rs 10,000 per year. This Ration Card comes in white color. The individuals who hold these Ration cards are not applicable for getting food grains from the Government instead they can use this card as an identity proof or address proof. AY Ration Card: This Ration Card are provided to the senior citizens of India. These people are allowed 10 Kgs of grains per month from the administration side. Antyodaya Families (AYY): These Ration Cards are provided to those who do not have a steady income. This Ration Card is beneficial for those people who are aged 65 years or more. The Rickshaw pullers, laborers, carpenters etc. come under this category. They can get the benefits to purchasing food grains from the Ration Shops. This Ration Card comes in Yellow color. After you are done with the submission of the Ration Card Application Form, you need to check status of the Application Form also. Well, you can check status by using your Aadhaar card number or your Ration Card Number. In this article, we are going to give you the information of how to check status of the EPDS Telangana Ration Card. Log in using the credentials. After logging in, search on the left-hand side of the screen. Click on the Search Choice. FSC is an option to check the Status of the EPDS Telangana Ration Card and different insights about Food Security card issued. Then choose your respective district, enter your FSC Reference Number or the Ration Card Number or the Aadhaar card Number. After clicking on the search button, it will provide you with the complete details of the status of the Application Form. When Andhra Pradesh Government introduced the AP EPDS Ration Cards, many people started applying for it. While applying for a Ration Card, they have come across many errors and mistakes in the card like errors or spelling mistakes in name, address, date of birth, gender, AP Ration card surname, family member name missing in the Ration Card, Photo missing etc. which is someway, not accepted. This can create a problem near future. Therefore, the Government of Andhra Pradesh and the Food and Civil Supplies Department have introduced the option to get their Ration Card updated. The process of AP EPDS Ration Card Correction is very straightforward. 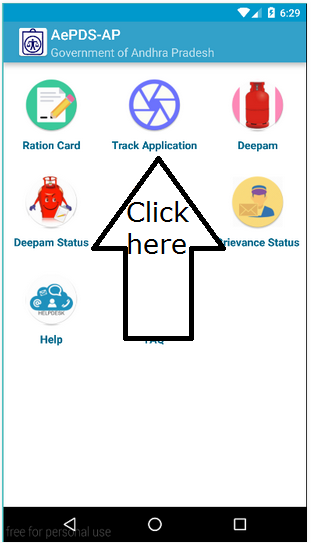 In this article we are going to discuss about the procedure of how to correct/update your AP EPDS Ration Card and what are the documents required for it. Certificate issued by the Educational Department. Other Government Benefit proof documents. Copy of the Ration Card. Rs 10/- Bond Affidavit which must be duly signed.